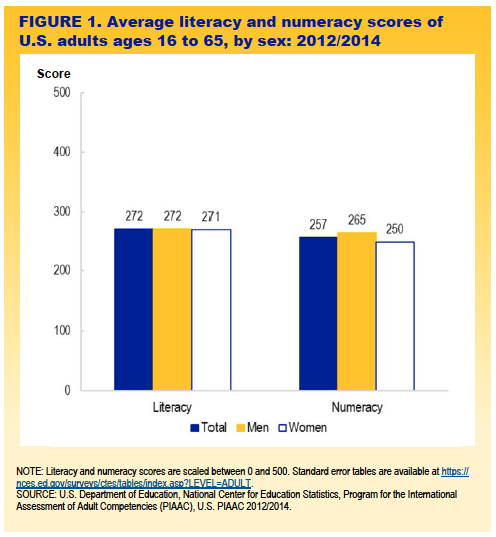 Literacy scores for men and women were not measurably different, but men had higher numeracy scores than women. The average literacy score among U.S. adults was 272 (figure 1). Men’s average score was 272, which was not measurably different from women’s average score of 271. The average numeracy score among U.S. adults was 257. 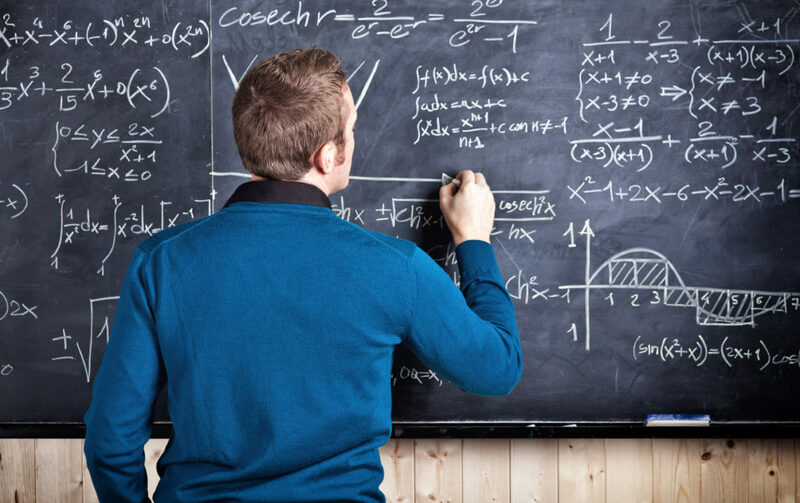 Men scored higher than women in numeracy. Their average score was 265, some 15 points higher than women’s average score of 250. The fact that men had higher average numeracy scores does not mean that men are better suited to work in professions that require strong numeracy skills. If you’re offended, send your angry tweets to @EdNCES.